Apple recently acquired Dryft, a software keyboard developer headed up by one of the cofounders of popular third-party app Swype, according to a report on Wednesday. At this stage it is unclear if Apple was more interested in Dryft's software technology or the startup's CEO Randy Marsden, an entrepreneur with a long history of developing soft keyboard apps, reports TechCrunch. While financial details of Apple's apparent buy are unavailable, Marsden's LinkedIn profile page suggests the deal went down last year as he lists having started work as Apple's iOS Keyboard Manager in September. Marsden says his current role entails management of keyboards and "text input intelligence," or auto-correct features, for iOS devices. As for Dryft keyboard technology, the firm's website says the app has three core features. First, a patented touch tap technology can discern when a user is typing or simply resting their hands. The app also supports what the company calls a dynamic keyboard, which automatically adjusts where the keyboard appears on screen by tracking a user's fingers. 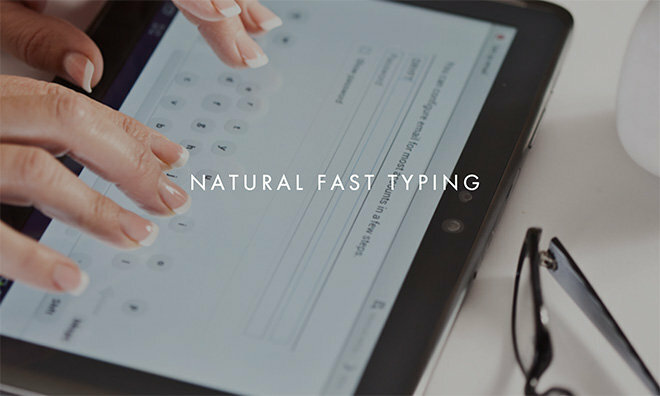 Finally, Dryft adapts to a user's typing style over time to cut down on errors. It is unclear if Apple intends to implement Dryft's tech in a future version of its iOS keyboard, or bought the startup in an acqui-hire designed to tap Marsden's skill set. Apple has not officially confirmed the acquisition.